A while back I accuired a few albion blades. And plan to do progects with them. Well the blades I got would make nice viking style swords. 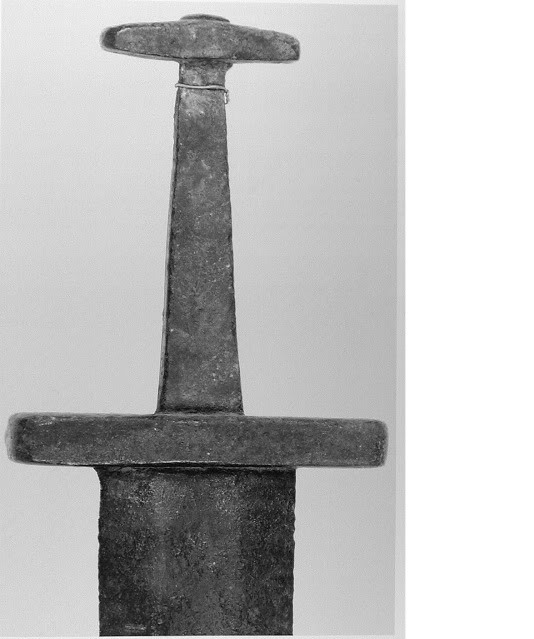 Anyways I had in the past seen a pic of a plain style viking sword that looked to have just plain straight pommel and guard. Just like flat steel stock. Question is I cannot for the life of me find a website showing pics of different angles .! I know its just plain looking but I love that style. Anyone have actual pictures of the guard and pommel like your looking down on it? Besdies the side view? And also looks like I may have to make one like that odin one too!